This one is dedicated to a student, Komal, who is a huge “One Direction” fan (and not the kind of one-direction fan you can buy at Home Depot). I make these jokes to her whenever I see her, so I thought I would share one with everyone else. Enjoy! 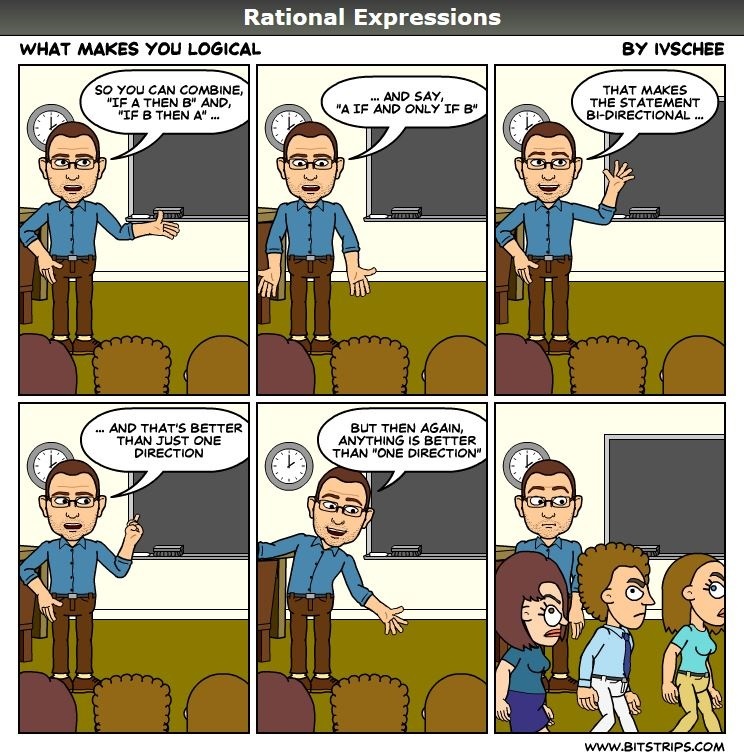 Posted on May 5, 2014, in Rational Expressions - A Comic Strip. Bookmark the permalink. 1 Comment. I am sooo forwarding this to all of my students! Thanks!